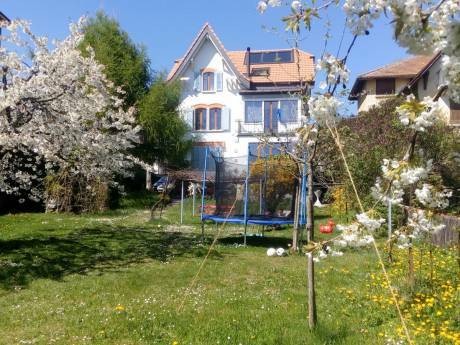 Our Apartment is on two levels ("Maisonette") located in the inner circle of the city of Basel. 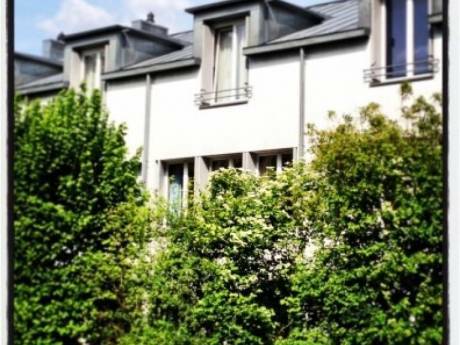 The house dates from 1906 and, with the adjoining houses, is a "classified" building which cannot be changed from outside though it has been refurbished, modernised and has all modern comfort. Yet it has retained features of old times charm which are quite unique. The flat comprises a pleasant entrance (in case of need can be converted into another bedroom) with living lounge (direct access to a small but pleasant garden), guest WC and service room on the basement, leading inside staircase to the fist floor with dining "hall", two bedrooms where 3 max. 4 people can sleep), bath/shower/WC and a kitchen with all amenities big enough to take your meals if you wish. We are a Swiss couple both retired with two adult sons, one of which is a Lufthansa pilot living next door to our place. After our professional life as marketing/sales executive in pharma/chemical field and and my wife as a communication director we would like to use the time to explore other countries and get to know other people. We enjoy a cultural life (theatres, concerts etc.) but also "milder" outdoor activities such as hiking, cycling,nordic walking, much swimming and of course travelling.We have done three successful exchanges in USA, the last in spring 2009.Seeing (and experiencing) other countries and people should become another hobby in our retired life. Our apartment is located in a residential quarter near the city ring but in a quiet side street. There are abundant shopping possibilities within max. 3 min. walking distance where you find any stores and services you may wish. Public transport facilities are excellent starting at doorstep . It takes 6 min. 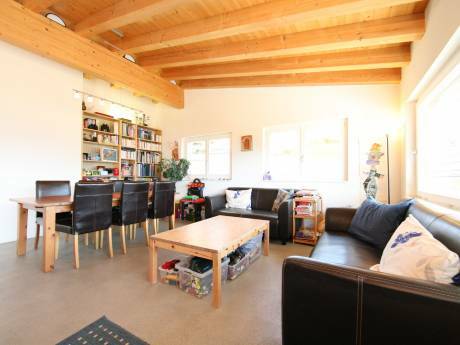 by tram to the railway station, 15 min by bus to the airport and 15 min walking time to the city center (Marktplatz). Yet it takes not much time to get out of the city where extends a lovely countryside also including the French Alsace and the German Black Forest. By train it takes max. 1 hour to reach Zurich, Bern or Lucerne.Another hour to reach the main touristic alpine areas of Switzerland and even one day (better 2 days) excursions e.g. to Paris and Milano can be realised.